Hand-woven towels. They are woven with hemp in weft, using old balls of thread recovered from old trousseuax, end 19th/beginning 20th century. 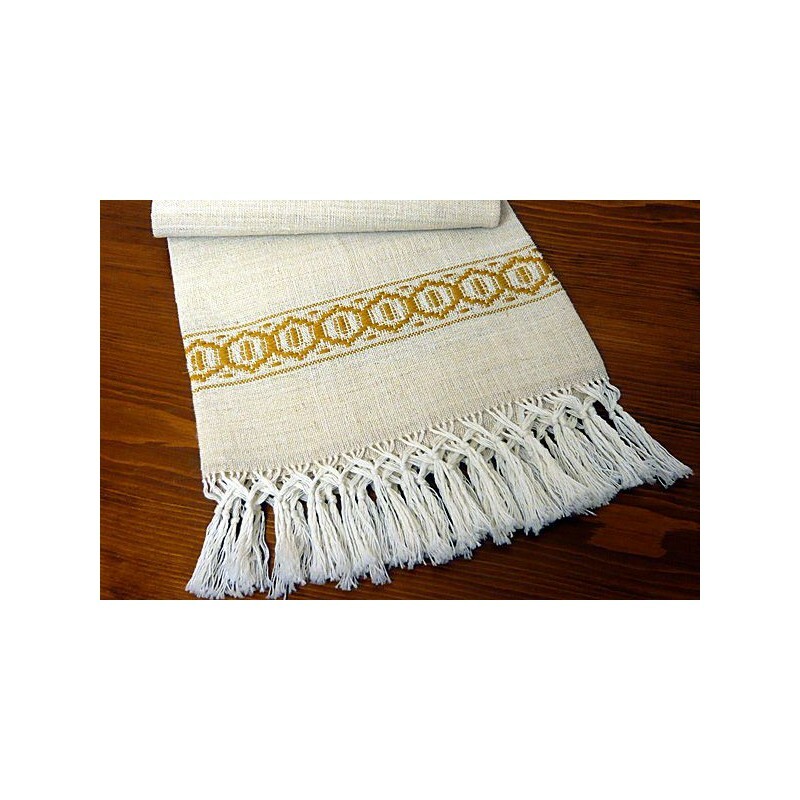 Towels are enriched by a greek pattern and entirely hand-bound fringes. When Garfagnana lived of agriculture and sheep-farming, the handloom was also part of the daily life of families. Handlooms were built by the farmers themselves with seasoned chestnut wood; some of them were very simple, other more equipped and even inlaid. They were usually set in lofts or basements and women used to weave with the feeble light of petrol lamps. 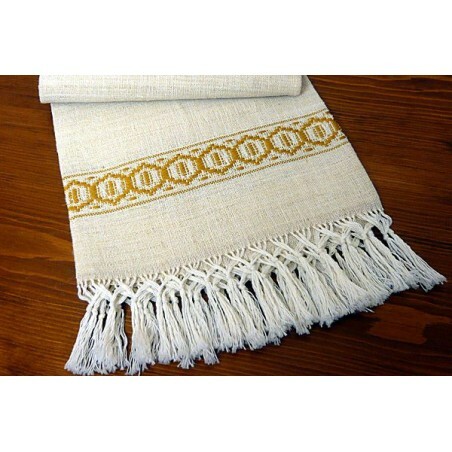 That's how threads of hemp, linen, silk or wool were transformed into stoles, arrays, pillows, sheets, blankets. Today this old work is carried out by few weavers who, like the ancestors, look for ancient yarns in grandmothers' trousseaux, fabrics of local production and provide themselves with wool produced by locally raised animals. They dye clothes themselves: only colouring the materials with plant dye they can get the particular colour nuances handed down across the centuries; then the patient use of ancient foot looms, the proposal of patterns and colour matches typical of the oldest Lucca tradition. Weaving is an art, kept alive by a great passion.